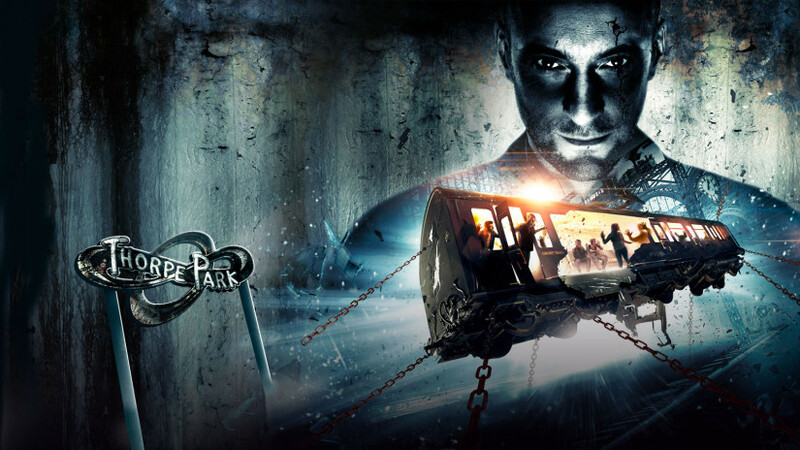 Out of all the attractions that have debuted in recent years, the one that continues to stand-out as the biggest risk is Derren Brown’s Ghost Train at Thorpe Park. Here are a few reasons why the ride deserves more credit than it has received thus far. You’ve been on enough simulators, coasters and dark rides now to know the flow and what to expect. 1. Enter pre-show. 2. Experience attraction. 3. Exit through gift shop. 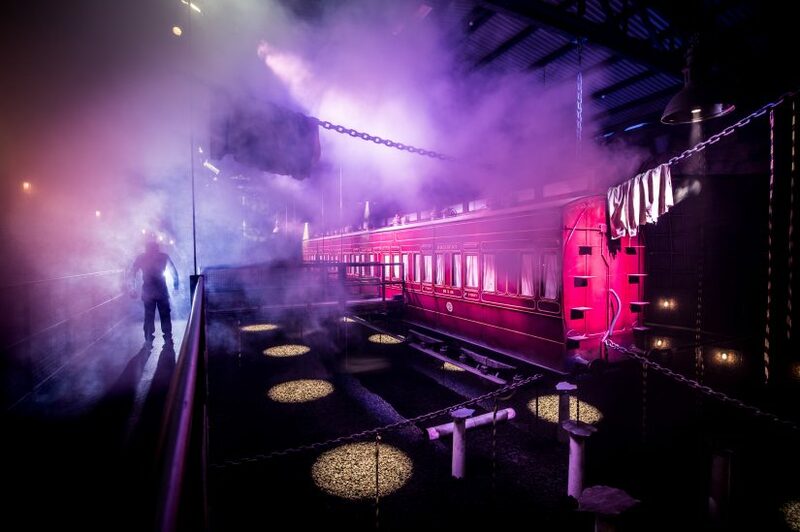 While Derren Brown’s Ghost Train certainly contains all of these elements, the attraction experience itself is far more complex. This attraction actually contains TWO separate ride experiences, a walk-through haunt and a surprise ending. It literally takes what you know about how a theme park attraction is supposed to flow and tosses it out the window. Which speaks to Derren Brown’s style in itself. Just when you think you’ve got him figured out, he throws in something to throw you completely off-guard. Clearly intentional and frankly, brilliant. Technically, Derren Brown is more of a mentalist, but I suppose we are splitting hairs. While magicians like Franz Harary and Doug Henning are both publicly and privately credited with creating many illusions within various attractions, this is the first ride branded specifically to a magician. While this may not mean much to those who aren’t fans of magic, to those who follow it, it’s a huge deal. Magic and mentalism have often been seen as nerdy and hoaky, but As Derren Brown has proven through hundreds of sold out performances and dozens of television specials, magic (and nerdy culture in general) has gone mainstream. Virtual reality has been around in theme parks for years now. However, Derren Brown’s Ghost Train is the first ride to be built from the ground up specifically designed for the technology. Not an afterthought. This breaks new ground in many ways. Instead of taking an existing ride like a roller coaster and designing an experience around its already unchangeable loops, drops and lift hills, this attraction gets to use it as a clean slate. This also means that you can tell a coherent story from beginning to end. Previously speaking, any other form of virtual reality technology plops you in the middle of an already existing world and you’ve found yourself in chaos. 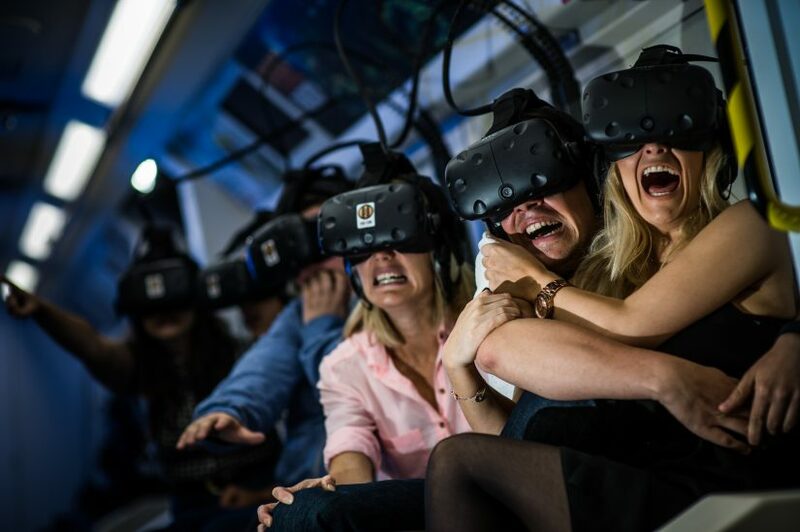 Through the use of two different virtual reality rides, you give guests two separate acts of a story, which doesn’t even fully conclude at the end of the second ride! There is more to the story! There are several attractions that have either a surprise or a fake-out ending. While I’m not going to ruin it for those who have yet to experience Derren Brown’s Ghost Train, there a few things that are quite clever about it. First, the ending puts guests in a familiar setting, then gives a final twist. More importantly, it fits in with Derren Brown’s brand. Every night, Derren Brown asks patrons of his show to keep the contents of the show a secret. This not only keeps intact the integrity of the show, but also keeps the element of surprise for those who haven’t seen it. It’s one thing to tell someone that you saw an audience member undergo a hypnotic trance and it’s an entirely different (and more impactful) thing to see it for yourself. The same is true of Derren Brown’s Ghost Train. Overall, and this is what I want fans of themed entertainment to understand, this breaks new ground in several ways on how to tell a story. 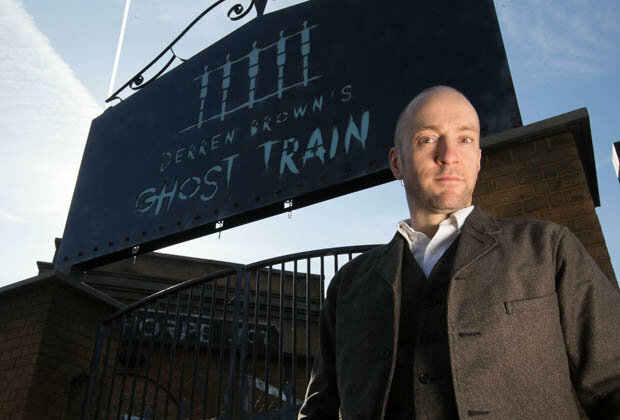 Maybe you love Derren Brown’s Ghost Train. Maybe you hate it. The point is, there are many elements at play here that have never been put together in this way. It’s out-of-the-box thinking that I personally think Thorpe Park, Merlin Entertainment and Derren Brown himself don’t get enough credit for. 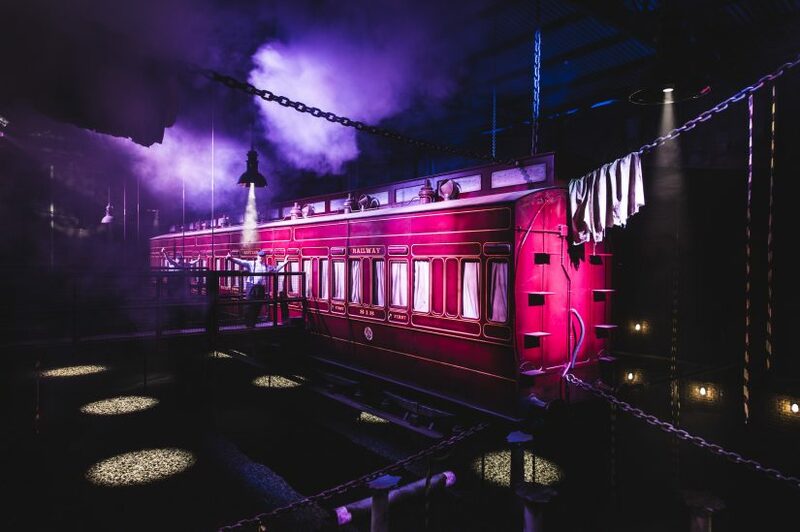 I’m all for pioneering new technology, story telling and in the industry and Derren Brown’s Ghost Train really gives designers a lot to think about moving forward. This entry was posted in Theme Parks 101 and tagged Derren Brown, Derren Brown's Ghost Train, Merlin Entertainment, Thorpe Park, Virtual Reality. Bookmark the permalink. Trackbacks are closed, but you can post a comment.